Uric acid is formed when the body breaks down purines- crystalline compounds that are found in certain foods. This naturally occurring waste product usually dissolves in the blood, passes through the kidneys and is removed from the body by the way of urine. 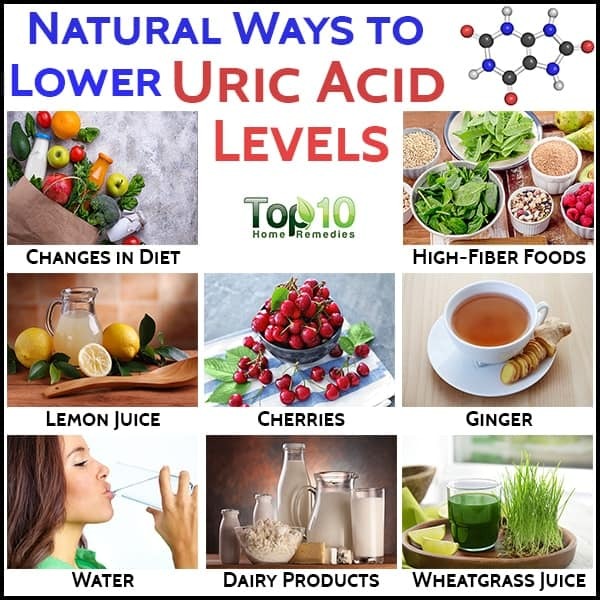 If you indulge in a diet that is high in purine, or if your kidneys are not able to get rid of excess uric acid, then this results in high uric acid level, a situation also known as hyperuricemia, which ultimately leads to gout. In gout (gouty arthritis) the uric acid crystals deposit in the joints, and most commonly in the big toe. High levels of uric acid can also lead to the formation of kidney stones and renal failure. Recent studies have also associated high blood uric acid levels with diabetes and heart disease. The primary causes of high uric acid levels are increased production of uric acid and inability of the kidney in eliminating the uric acid from the body. Purine-rich diet like seafood, organ meats, processed food items, and foods high in fructose/sugar. Exercising, fasting and crash dieting may elevate uric acid levels temporarily. Joint Symptoms- High concentration of uric acid in joints leads to symptoms in the form of gout which includes pain, inflammation, swelling, redness, and tenderness in the joints like heels, ankles, knees, fingers, wrists, and elbows when touched. 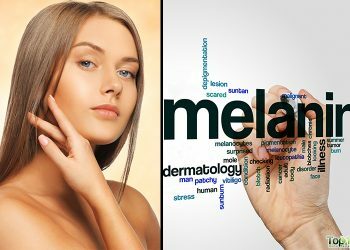 Skin Symptoms- After many years of high uric acid levels, the crystals of uric acid tend to form lumps beneath the skin, known as tophi. Though they are not usually painful, the tophi can become swollen and tender during gout attacks. 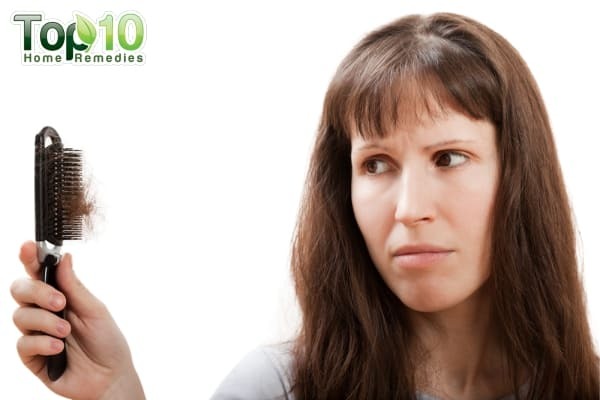 Kidney Symptoms- High uric acid levels may also lead to the formation of kidney stones, especially among men. The symptoms of which include back pain, pain in the abdomen, severe pain in the groin area, a high fever, cold chills, nausea and vomiting, and blood in the urine. Eat a balanced diet that is high in complex carbohydrates and low in protein. Avoid refined carbohydrates such as white bread, cakes, and candies. Uric acid levels can be determined with a sampling of blood. Additional testing may be used to rule out other conditions. The painful symptoms associated with gouty arthritis may be present even when uric acid levels are in the normal range. There are some tips and natural remedies that can help reduce and control uric acid levels. You must follow-up with your healthcare provider for diagnosis and management of hyperuricemia. Here are some ways to control uric acid levels. The first step towards controlling the rising levels of uric acid is eliminating the primary agent resulting in increased uric acid, i.e., purine. Avoid indulging in purine-rich food and adopt an alkaline diet instead. Fresh green vegetables are helpful in alkalinizing the blood and can reduce uric acid levels. 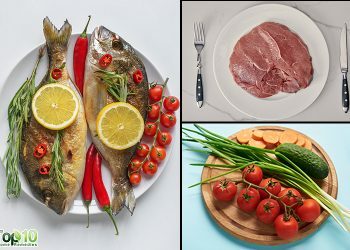 Limit meat and seafood intake as they typically contain purine, a compound that can contribute to uric acid formation. An alkaline diet helps to reduce inflammation in the body and can alleviate the discomfort that accompanies gouty arthritis. According to a study published in Nutrition, Metabolism, and Cardiovascular Diseases in 2011, animal protein and seafood consumption led to higher chances of hyperuricemia while consuming soy products led to lower cases of hyperuricemia among middle-aged Chinese men. You can also drink green papaya tea to prevent the buildup of uric acid and treat uric acid and gout-related problems. The papain in green papaya helps the body maintain an alkaline state and acts as an anti-inflammatory agent. 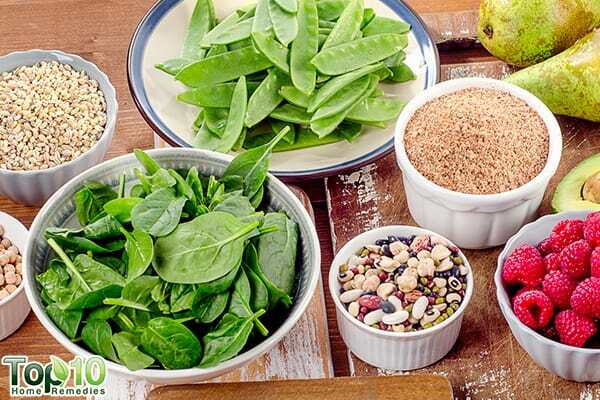 According to the latest research, high-fiber diet is helpful in inhibiting inflammation that is caused by monosodium urate (MSU) crystals resulting from gout. 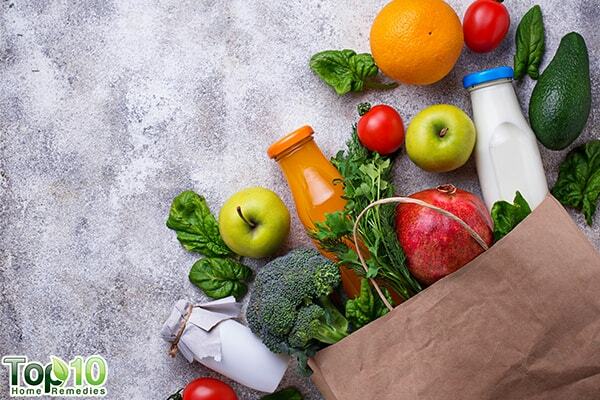 Whole grains, apples, pears, oranges, and strawberries are some examples of high-fiber foods that you can incorporate in your diet. Starchy carbohydrates are foods like rice, whole grain pasta, tapioca (also called sabudana), quinoa, potato, oats, and bananas. Avoid processed foods and excess sugar. Lemon juice actually helps to make the body more alkaline. It helps to neutralize uric acid by prompting the production of calcium carbonate. It also contains vitamin C which can help lower uric acid levels. 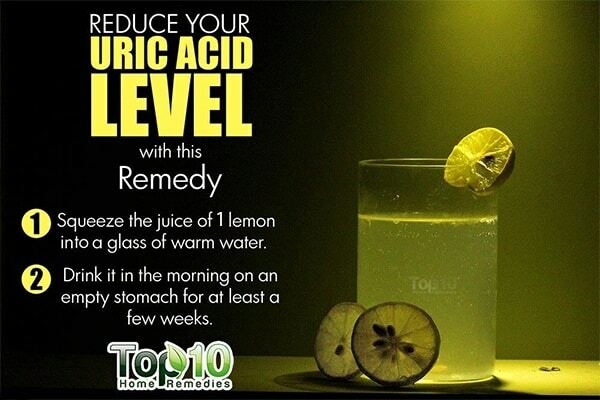 Squeeze the juice of 1 lemon into a glass of warm water. Drink it in the morning on an empty stomach. Continue for at least a few weeks. Cherries and dark berries contain chemicals that help reduce uric acid levels. Purple and blue-colored berries contain flavonoids called anthocyanins that help lower uric acid and reduce inflammation and stiffness. Eat ½ cup of cherries daily for a few weeks. You can also drink 1 or 2 cups of tart cherry juice for about 4 weeks. Ginger has anti-inflammatory properties that are beneficial for joint pain and discomfort. 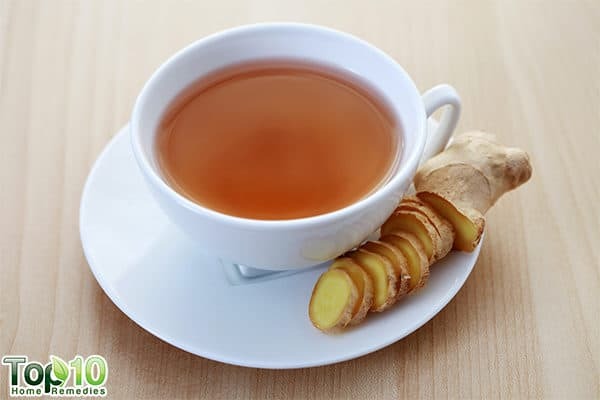 Ginger tea can be a helpful remedy for the pain and discomfort associated with hyperuricemia. Drinking adequate water regularly can reduce the risk of gout attacks. It has been suggested that people who drank 5 to 8 glasses of water in the 24-hour period prior to a possible gout attack had a 40 percent decreased risk of an attack compared with those who drank only 1 glass of water or less. Drink about 8 to 10 glasses of water throughout the day. Drink 1 to 5 cups of skim milk daily. Wheatgrass helps restore alkalinity in the blood. It is rich in vitamin C, chlorophyll, and phytochemicals that promote detoxification. It is a good source of protein and amino acids as an alternative to eating animal protein. 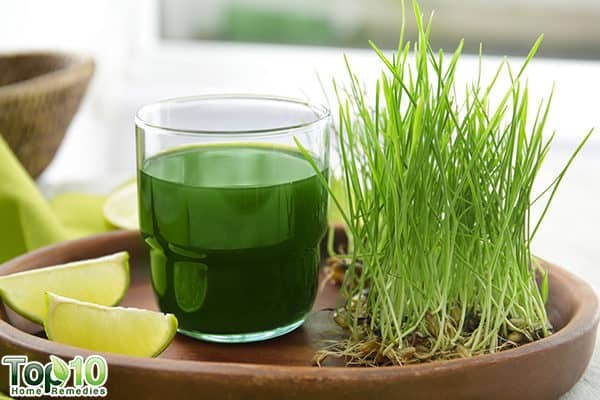 Simply drink 1 ounce (2 tablespoons) of wheatgrass juice mixed with a squeeze of lemon juice daily until your uric acid level comes down. Though there are no scientific studies to prove the efficacy of the following remedies in controlling the uric acid level, both have been found to be highly beneficial by many users. Though there are no scientific studies to prove its efficacy in controlling the uric acid level, apple cider vinegar has been found to be highly beneficial by many users. A natural cleanser and detoxifier, apple cider vinegar can help remove wastes like uric acid from the body. It contains malic acid that helps break down and eliminate uric acid. Apple cider vinegar helps restore the alkaline acid balance in the body and provides anti-inflammatory and antioxidant benefits. Add 1 teaspoon of raw, organic, unpasteurized apple cider vinegar to 1 glass of water. Drink this solution 2 or 3 times a day. You can gradually increase the amount of apple cider vinegar up to 2 tablespoons per glass of water and continue this remedy until your uric acid levels come down. Note: Do not take apple cider vinegar in excess as it may decrease potassium levels in the body. It may interfere with diuretic drugs. Heavy consumption of apple cider vinegar may contribute to stomach complaints and erosion of dental enamel. Drink up to 4 glasses of this daily for 2 weeks. You can drink it every 2 to 4 hours. Note: Do not take this remedy on a regular basis. Do not follow this remedy if you suffer from high blood pressure or kidney issues. Contact your physician prior to starting this remedy. Feig DL, Kang D-H, Jhonson R. Uric Acid and Cardiovascular Risk | NEJM. New England Journal of Medicine. https://www.nejm.org/doi/full/10.1056/NEJMra0800885. Published October 23, 2008. The Gout Diet. The Gout and Uric Acid Education Society Symptoms Stages Comments. http://gouteducation.org/patient/gout-treatment/diet/?gclid. Choi JWJ, Ford ES, Gao X, Choi HK. Sugar‐sweetened soft drinks, diet soft drinks, and serum uric acid level: The third national health and nutrition examination survey. The Canadian Journal of Chemical Engineering. https://onlinelibrary.wiley.com/doi/abs/10.1002/art.23245. Published December 28, 2007. Kanbara A, Hakoda M, Seyama I. Urine alkalization facilitates uric acid excretion. Current neurology and neuroscience reports. https://www.ncbi.nlm.nih.gov/pmc/articles/PMC2976726/. Published October 19, 2010. Villegas R, Xiang Y-B, Elasy T, et al. Purine-rich foods, protein intake, and the prevalence of hyperuricemia: The Shanghai Men’s Health Study. US National Library of Medicine National Institutes of Health https://www.ncbi.nlm.nih.gov/pmc/articles/PMC3150417/. Published May 2012. High fiber diets may alleviate inflammation caused by gout. Federation of American Societies for Experimental Biology. https://www.sciencedaily.com/releases/2017/01/170104114321.htm. Published January 4, 2017. Biernatkaluza EK, Schlesinger N. SAT0318 Lemon Juice Reduces Serum Uric Acid Level Via Alkalization of Urine in Gouty and Hyperuremic Patients- A Pilot Study. Annals of the Rheumatic Diseases. https://ard.bmj.com/content/74/Suppl_2/774.1. Published June 1, 2015. Juraschek SP, Miller ER, Gelber AC. Effect of Oral Vitamin C Supplementation on Serum Uric Acid: A Meta-analysis of Randomized Controlled Trials. HHS Public Access. https://www.ncbi.nlm.nih.gov/pmc/articles/PMC3169708/. Published September 2011. Zhang Y, Neogi T, Chen C, Chaisson C, Hunter DJ, Choi HK. 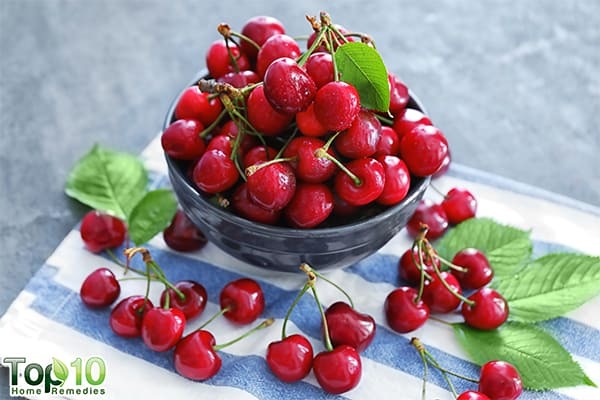 Cherry consumption and decreased risk of recurrent gout attacks. Arthritis & Rheumatism. https://onlinelibrary.wiley.com/doi/abs/10.1002/art.34677. Published November 28, 2012. Yuniarti EV, Windartik E, Akbar A. International Journal of Scientific & Technology Research. http://www.ijstr.org/paper-references.php?ref=IJSTR-1017-17942. Published October 2017. Bode AM. The Amazing and Mighty Ginger. Advances in pediatrics. https://www.ncbi.nlm.nih.gov/books/NBK92775/. Published January 1, 1970. Ragab G, Elshahaly M, Bardin T. Gout: An old disease in new perspective – A review. Journal of Advanced Research. https://www.ncbi.nlm.nih.gov/pmc/articles/PMC5512152/. Published September 2017. 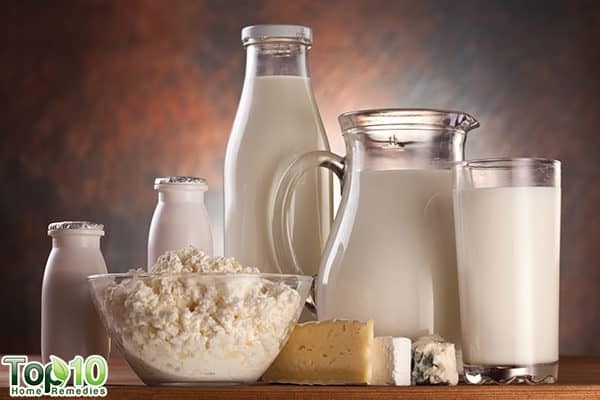 Giles J. Arthritis News: Urate Lowering Effects of Milk Explored. Johns Hopkins Medicine Health Library. 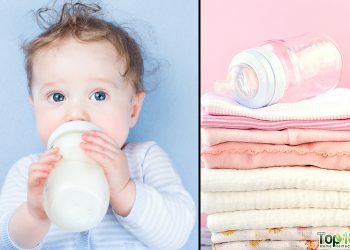 https://www.hopkinsarthritis.org/arthritis-news/arthritis-news-urate-lowering-effects-of-milk-explored/. Published August 27, 2010. Mujoriya R, Bodla DRB. A study on wheat grass and its Nutritional value. International Knowledge Sharing Platform. http://www.academia.edu/1291574/A_study_on_wheat_grass_and_its_Nutritional_value. my uric acid level before 7.9 and now 3.9 . Thanks.I will try few tips.May God bless all. Thank u very much god bless u. Very good information. I was suffering from last 8yrs finally i got a relif. Thanks again. I was suffering from last 8yrs finally i got a relif. Thanks. Thanks for your suggestion I will try it. Great ideas, but I can’t do some of them. I am in renal failure (3rd stage), I have diabetes, high blood pressure, and really have to watch my potassium. I eat cherries, strawberries and blueberries every day at lunch. I have a water restriction (only 1 1/2 liyers of water a day. Dairy products have way to much potassium, so that has been taken out of my diet. There is so much potassium in most of the things you mentioned. I really don’t know what to try anymore. Thanks for your good suggestions, I will use it.